I remember asking this question to a client who had a serious case of wanderlust and felt trapped in her current job. She needed to realize what was possible by dreaming a little outside her mental box. After closing her eyes and pausing a moment, she simply replied: My own backyard. Peace. Rest. Renewal. That’s what she craved more than going on a big vacation to an exotic place. Instead of trying to escape her reality, this client modeled a vital lesson that we all experience – especially in our busiest seasons! Sometimes, we simply need to create more space to explore where we already are instead of going somewhere new. As an avid world traveler and self-proclaimed “Life Explorer,” this lesson hit home in way I didn’t even know I needed. I can get so busy planning, dreaming, designing, and acting that I fill my time so full so there isn’t space to enjoy being where I am now. Before, I assumed I must be off on some grand adventure to really be exploring the world I lived in. Now after talking to this client, being a “Life Explorer” was expanded to include the ordinary, wonderful moments that we all can so easily access. Especially in my own backyard, neighborhood park, or tree-lined street. Life Explorers aren’t afraid to live and play. These creative nomads turn big dreams into tangible realities because they figure out innovative ways to live their life. Rather than waiting for life to happen to them, they create the kind of life they want through their intentional actions and living out their desires in a positive way. Now this doesn’t always materialize into a month-long European vacation and generally doesn’t even require a passport. But it does involve imagination and willingness to look for the opportunities available – no matter how big or small. When I’ve connected with Millennials from across the globe through my Millennial Leadership Project, almost every person has shared that exploration, travel, adventure, or experiencing new things is one of their top motivators and defines their identity. Millennials are using travel opportunities to dive deeper into self-discovery, find clarity around important life choices (like attending graduate school or taking on a new job), and experience something transformational before they settle into a career. 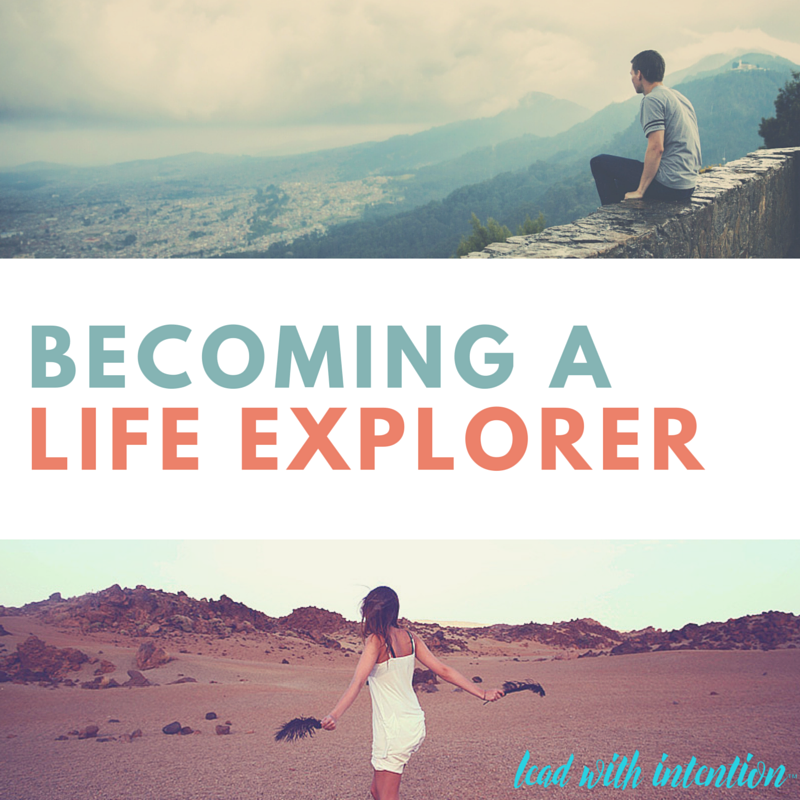 The very values most Millennials espouse center around freedom, adventure, autonomy, and flexibility – all major themes of becoming a Life Explorer! In my twenties, I set a fun “life goal” of traveling to at least as many countries as I am years old (and I’m now currently tied in my early thirties!). What’s on your list? Whether they are exotic destinations or backyard sanctuaries, I encourage you to share them with the hashtag #LifeExplorer as you continue to create your own adventure!